Since 2010 the number of people seriously injured in the EU has been reduced by just 1.6%, compared to an 18% decrease in the number of road deaths in the same group of countries. The majority of countries have reduced road deaths at a faster pace than seriously injured since 2001. In 2014, more than 203,500 people were recorded by the police as seriously injured on the roads in the EU, representing an increase of almost 3% compared to 2013. There is strong political support to take action on serious injury. In 2010 the Council of the European Union underlined the ‘urgent need to address serious injuries, supporting the development of a common definition and agreeing to the principle of a specific quantitative target’. In July 2013, the European Parliament adopted a Resolution urging the European Commission to set an ambitious target for the reduction of road traffic serious injuries over the 2014-2020 period. The European Commission presented its ‘First Milestone towards a Serious Injury Strategy’ in 2013. The Commission committed to setting a common EU target for the reduction in the number of people seriously injured on the roads by 2020. However, after having promised a target ‘shortly’ in a press release of 24 March 2015, the European Commission backtracked and it is now unclear when the target will be set. ETSC recommends to the EU to adopt a target of a 35% reduction between 2014 and 2020 in the number of people seriously injured. A 35% reduction over the period 2014-2020 would be similarly challenging for Member States to the target to halve road deaths between 2010 and 2020. In addition, the EU should adopt a joint strategy including measures against which delivery can be made accountable. Create a road safety system that recognises the vulnerability of the human body. Adopt a target of a 35% reduction between 2014 and 2020 in the number of people seriously injured. A 35% reduction over the period 2014-2020 would be similarly challenging and numerically comparable for the Member States to the target to halve road deaths between 2010 and 2020. Involve all relevant directorates general, in particular DG Health and Food Safety (SANTE), in identifying preventive measures, adopting the joint strategy to tackle serious injuries and implementing it. The joint strategy should include measures against which delivery can be made accountable. Include numbers of seriously injured in the impact assessment of countermeasures, where this does not take place already. Suppport Members States’ efforts to improve the quality of the data on seriously injured people and prioritise short-term measures that can be implemented with existing knowledge, e.g. measures to improve speed limit compliance will reduce injury severity and have immediate effect. 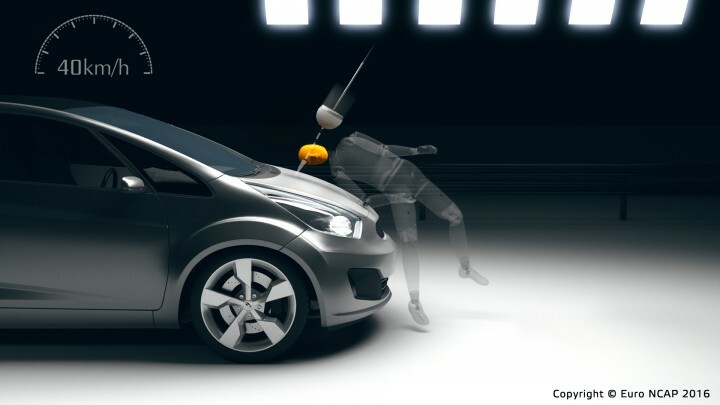 Upgrade type approval crash tests to be more closely aligned with the requirements of Euro NCAP crash tests. Update the existing pedestrian protection tests for new motor vehicles and extend them to protect cyclists. Extend the mandatory fitment of advanced seat belt reminders as standard equipment to all seats. Adopt legislation for fitting all new vehicles with an overridable Intelligent Speed Assistance system. Curbing illegal and inappropriate speed will reduce injury severity in all kinds of collisions. Extend fitment of Autonomous Emergency Braking systems (which operate at all speeds and can detect pedestrians and cyclists) to passenger cars and light trucks and vans. Legislate to ensure that retrofitting of vehicles with alcohol interlocks continues to be possible in the future (building on the CENELEC draft standard for the electrical connection between the alcohol interlock and the vehicle). Legislate for a consistently high level of reliability of alcohol interlock devices. As a first step towards wider use of alcohol interlocks, legislate their use by professional drivers. Mandate Event Data Recorders in all new vehicles and require the data to be made available for accident investigation. Encourage Member States to provide tax incentives for the purchase and use of safe cars (5 star Euro NCAP cars). Develop mandatory requirements for safer goods vehicles stipulating improved cabin design and underrun protection, and remove exemptions that exist so as to require the use of side guards to protect other road users in collisions with trucks. Encourage Member States to adopt zones with speed limits of maximum 30km/h (or 20mph) in residential areas and areas with large numbers of pedestrians and cyclists and maximum 80km/h on undivided rural roads. Within the context of the review of the Infrastructure Safety Management Directive 2008/96 encourage Member States to extend the application of the instruments of the directive to cover all roads and extend the rules to tunnels covered by the Tunnel Directive 2004/54 while upholding the effects of the Tunnel Directive. Within the context of the Urban Mobility Action Plan, draft guidelines for promoting best practice in traffic calming measures, based upon physical measures such as roundabouts, road narrowing, chicanes, road humps and techniques of space-sharing, to support area-wide urban safety management, in particular when 30km/h zones are introduced. Encourage Member States to develop effective emergency notification and collaboration between dispatch centres, fast transport of qualified medical and fire/rescue staff, liaison between services on scene, treatment and stabilisation of the casualty, and prompt rescue and removal to an appropriate health care facility. Promote the widely accepted standard of a ‘casualty centred’ methodology which ensures a multi-service, unified approach that promotes optimum casualty care coupled with specific steps to achieve a rapid but safe rescue. Encourage, in the development of new vehicle technology, greater collaboration between vehicle designers, manufacturers and the emergency services to maximise the effectiveness of intervention and the safety of all involved including casualty and rescuer. Encourage Member States to measure the quality of trauma care and outcome via audits and follow-up of a sample of road victims over time. In view of the large numbers of road deaths and serious injuries across the EU, set up a Pan-European Accident Investigation Network, as is already the case in aviation, maritime and railway sectors, applying independent and high-quality accident investigation techniques to representative stratified samples of road collisions. Set up a European Road Safety Agency to, among other tasks, collect and analyse data on collisions, exposure and from in-depth accident investigations to inform new safety policy as well as to evaluate the effectiveness of road safety countermeasures.